Want A Free Quote + $500 Solar Discount From Sungevity? Click Now! Now you can either continue reading the explanation or join the 1000s of other people we’ve help connect with our solar partners (They’re called Sungevity) for a free quote AND $500 discount on your installation. Just click here now! If you decided to continue on: Now let me explain…North Carolina is an interesting case. For the last few years, the state has been an excellent place to go solar, in part due to big tax credits and a big push on the part of the utilities. A 5-kW solar system could pay for itself in just six years. Investment return was 13.1%. The good news is that the state’s major utilities have already met their goals for clean energy capacity, but that means utility companies no longer have much incentive to get more people into solar. And unfortunately, the state’s solar tax credits are expiring. 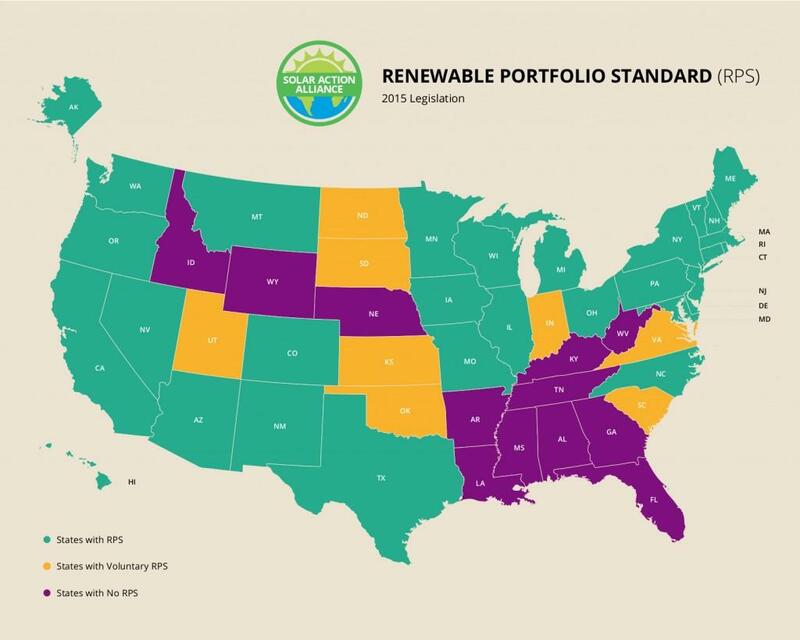 If North Carolina does not reinstate its tax credits—and set new goals for increased capacity—the options for solar energy in the state will change dramatically. Some people worry that solar energy equipment costs too much. Actually, as you can see, prices have been dropping sharply in recent years—there’s a close relationship between the number of panels sold and their cost. 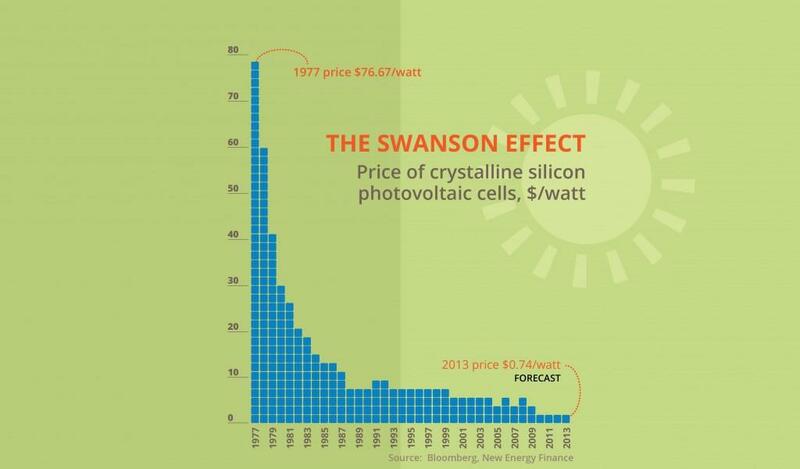 It’s called the Swanson Effect, and, thanks to this principal, the more people go solar, the cheaper solar equipment will be. Free Quote + $500 Solar Discount? Click Now! 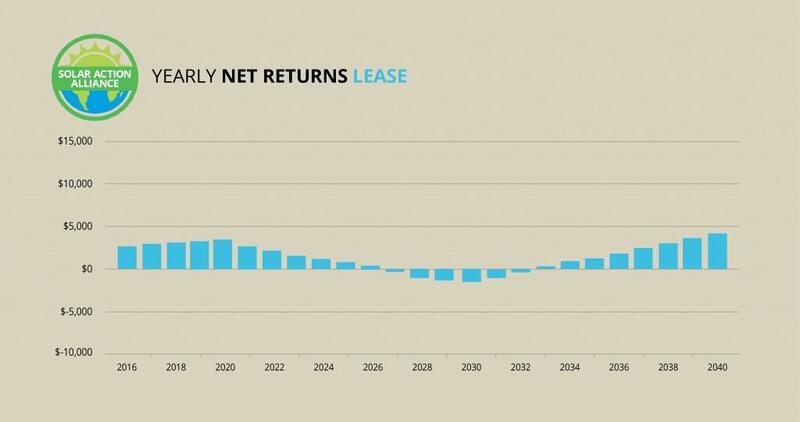 This graph for the return on a solar loan again reflects a typical system and the old tax situation. Without the state tax credit, the picture will look a little different, but you still get a Federal tax credit and payments on the interest of a home equity loan (although not payments on the principal) are still deductible. For the first few years, you’ll come out ahead financially. 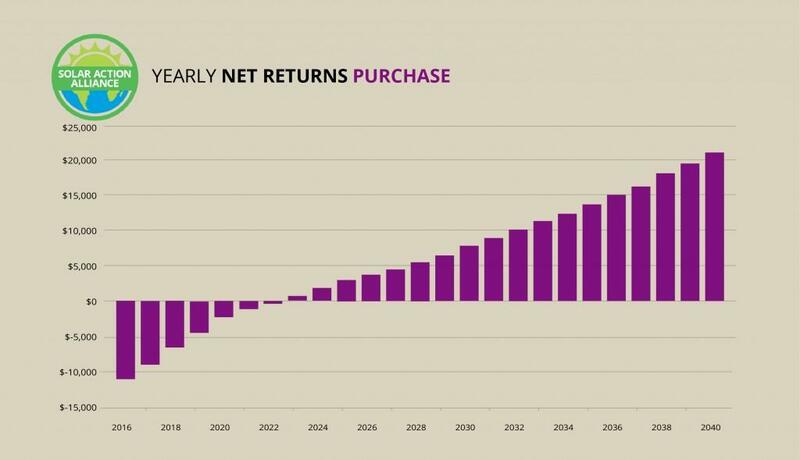 As you pay off the principal, your return shrinks and you could owe some money for a few years. But once the loan is paid back in full, you own the equipment and earn a nice return for the rest of the life of your system. The solar experts at Sungevity can help you out as they’ve helped out 1000s of other people just like you. Click here if you want to learn more about getting solar installed on your home or business AND receive a $500 discount! North Carolina is a tough place to go solar these days, but not as tough as it could be. There are still a few bright spots. Interconnection policies, for example, are decent. This means that the legal process for getting a small solar system connected to the grid is quick and straight-forward, although utilities still have the option to impose fees and other requirements. 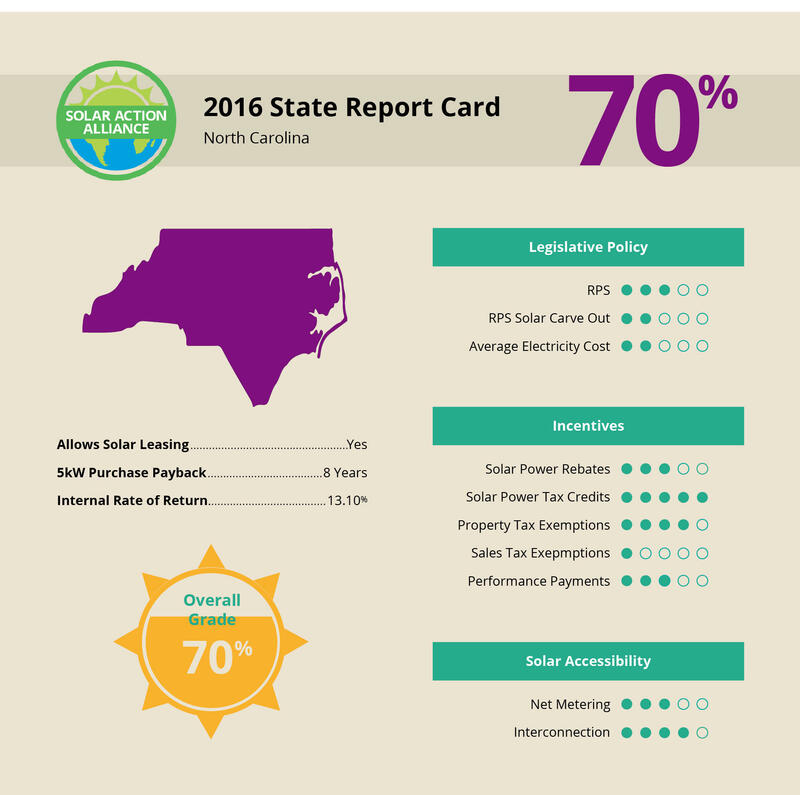 Solar adds value to your house, and in North Carolina, 80% of that added value is not taxed. If you go here now, then our partners at Sungevity will help you see how much YOU can save. And while the state as a whole has no rebate program for solar equipment, two major energy suppliers offer their own rebates. That puts North Carolina ahead of all but 14 other states. Switch to solar through Sungevity and save $500 on solar! 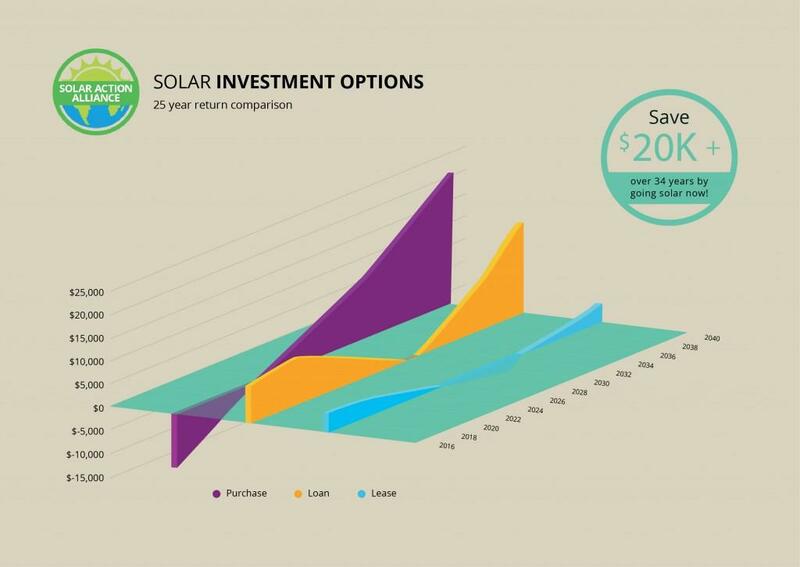 Click Get FREE Solar Cost Calculation and Claim YOUR $500 discount through Sungevity! Click Here To Claim YOUR $500 discount through Sungevity!